With winter well and truly here, are you now packing your tees and jackets away till the sun comes out again and the weather eases up? Well I may have the solution to all your worries, with some protective and thermal layering to match they don’t have to just hang in your “summer side” of the closet. But how do you layer up without frumping up and look like a pro? Here is how it’s done, with these simple steps, you will able to pull off a look so sleek and stylish that even the Man Repeller would be envious, I’d be surprised if you weren’t snapped in all you glory. #FKStyleAdvice101: If you have a warm complexion, opting for a brighter knit is essential, unless you’re wearing a bright coat. 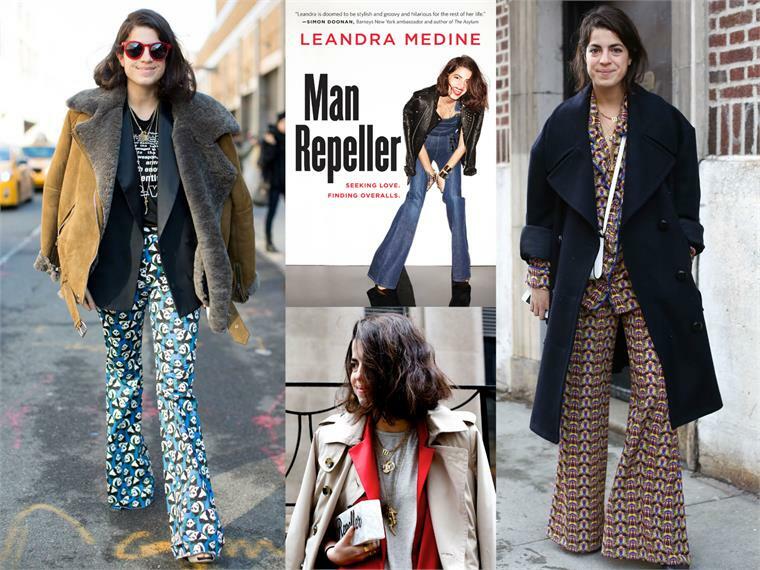 When opting for a dark knit, attempt to add a splash of colour – bright trousers, accessories, coat etc. 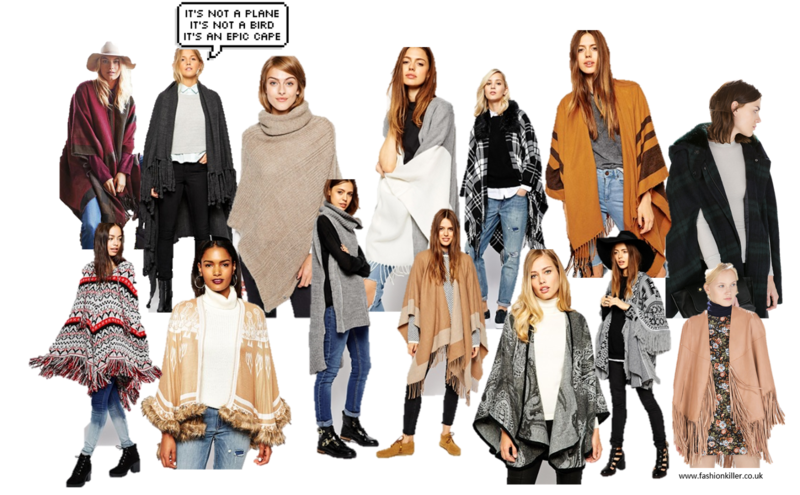 After laying my eyes on Olivia Palermo in her personalised Burberry blanket cape, it’s fair to say I’m in cape fever. But with a bank balance that couldn’t even afford a fourth of this cape, I no longer have to cry as the highstreet have some pretty amazing capes that will suffice the absence of an FK or LCC Burberry blanket in my wardrobe. From top right to left: Next Abstract Cape, Pieces Blanket Cape Wrap Scarf on ASOS, Esprit Knitted Poncho on ASOS, ASOS Cape In Colour Block, River Island Tartan Faux Fur Trim Cape, ASOS Stripe Blanket Cape, Zara Hooded Checked Wool Cape.From bottom right to left: Glamorous Knitted Poncho Cape with Tassel Trim on ASOS, River Island Batik Cape, ASOS Cape With Roll Neck, ASOS Reversible Cape, Oasis Paisley Jacquard Wrap, ASOS Blanket Cape In Pattern With Fringing, Zara Fringed leather poncho. #FKStyleAdvice101: With one of these bad boys you don’t even need a massive coat, a leather jacket or even just a knit will do. Chilly? Want to make a simple outfit super cute? Wrap it up. Whether it’s thick, knitted, checked, silk or just cosy, a scarf isn’t only a great layer to have this season but will keep you warm and cosy. Here are my favourite picks. 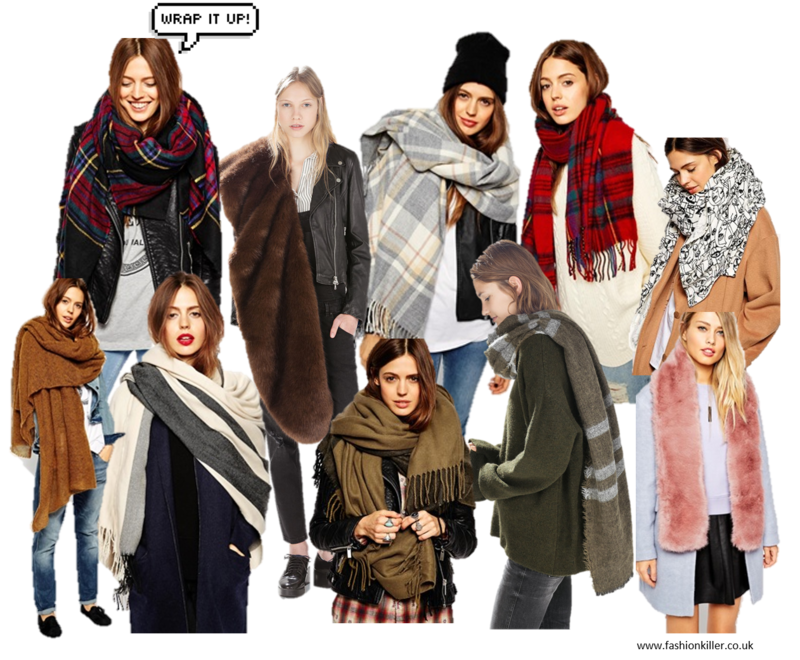 From bottom right to left:ASOS Oversized Knit Scarf, ASOS Oversized Scarf With Stripes, ASOS Oversized Colour Block Scarf, Zara Wraparound Striped Scarf, Whistles Faux Fur Scarf. 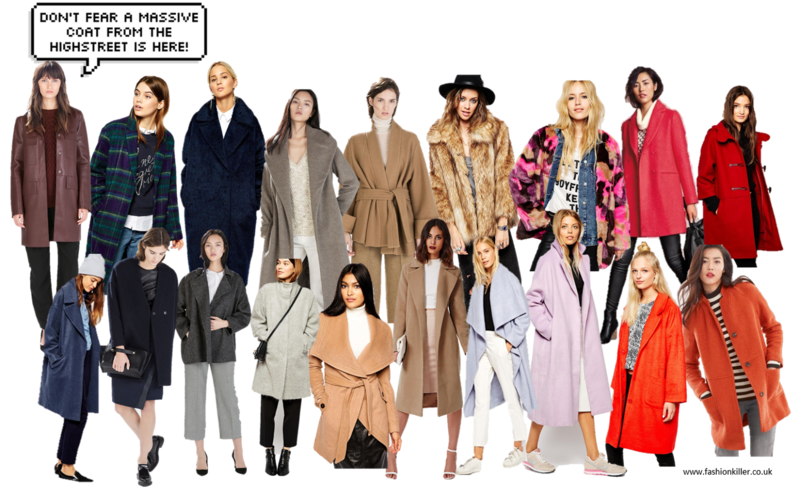 Follow Fashion Killer’s board How to Layer Up Like a Pro on Pinterest.